Winter Hours: Thursday 4PM - 10PM | Friday 2PM – 10 PM | Saturday 11 AM – 10 PM | Sunday 11AM - 7PM | Summer Hours: Open Daily 11 AM – 10 PM Local. Handcrafted. Fresh. 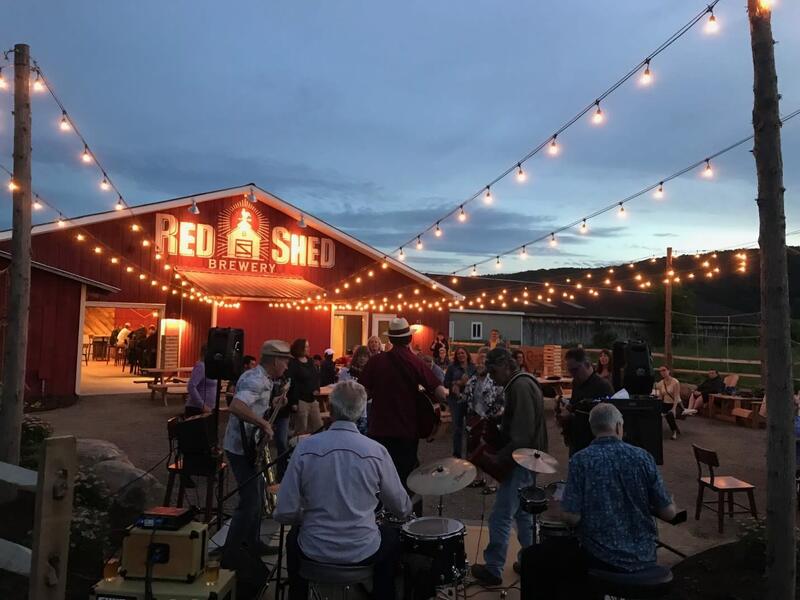 Red Shed Brewing - Cooperstown Tap Room is a craft farm brewery dedicated to making fresh, handcrafted ales using local NY hops and grains. As a NY state farm brewer, Red Shed beers feature the best of locally grown hops and ingredients, and the recipes we develop are designed to bring out the best of the region in each beer we brew. Our Tap Room on Rt 33 features 20 beer taps of Red Shed brews, other NY craft beers, ciders and wines. Get a bite to eat from our kitchen, making freshly made tacos, salads and quesadillas, while you enjoy the view or play games in our outdoor beer garden (open in the summer months). 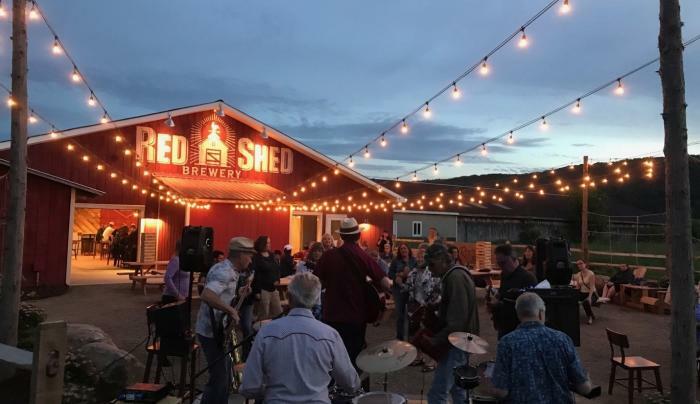 Red Shed is proud to feature local, live music every Saturday night, as well as other events for the season.